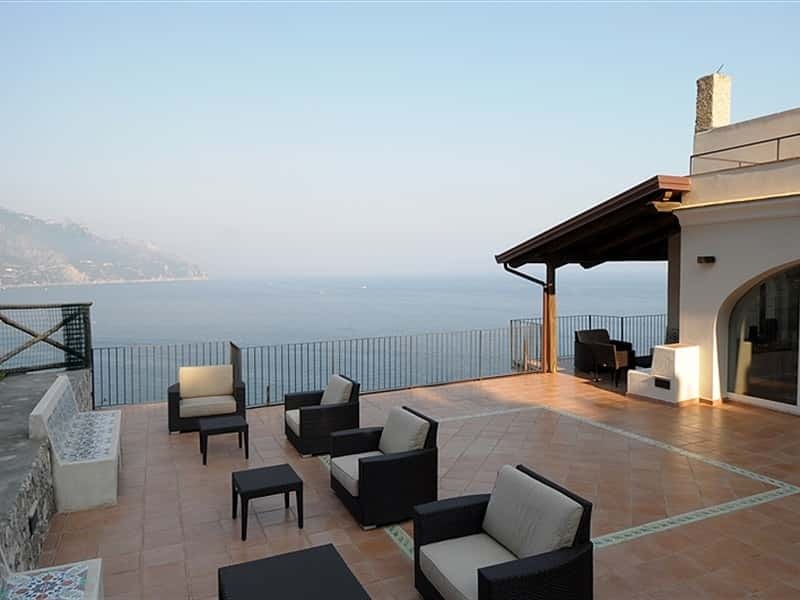 Located on a high cliff overlooking the sea, the Eremo di San Francesco has an unique and incomparable view of the Amalfi coast. 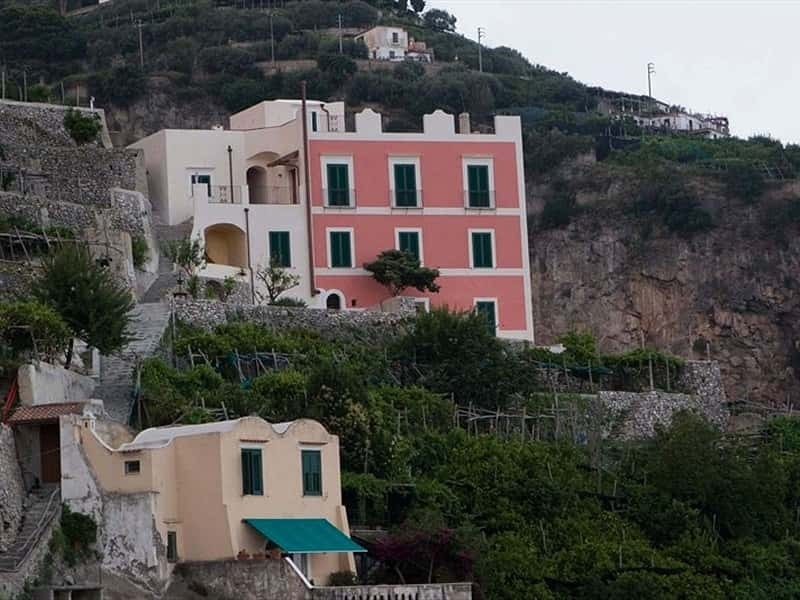 Isolated from the city traffic and, at the same time, a short distance from the historic centre of the town, the villa, surrounded by a scented lemon orchard, overlooks the neighboring village of Atrani, picturesque town characterized by an intricate maze of houses, built practically on top of each other, that make it look like a nativity scene, especially at night with the lights glimmering. 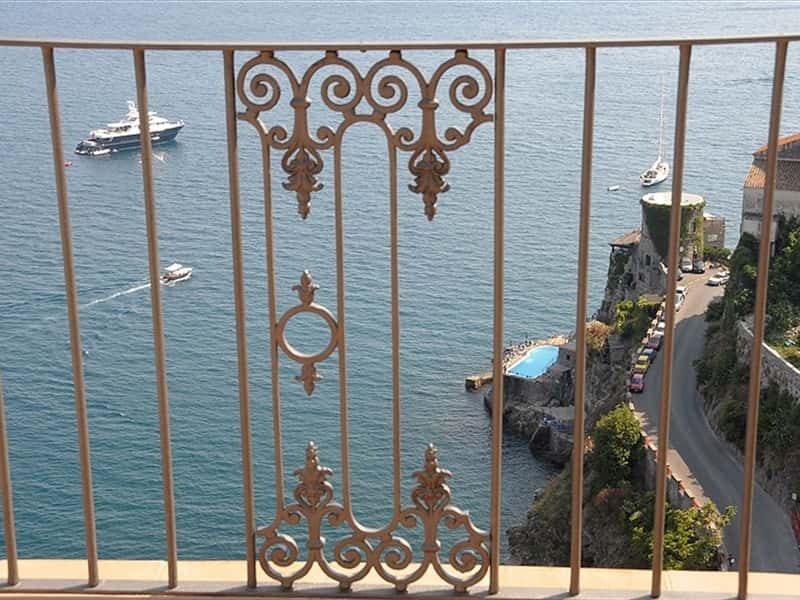 During the time of the Maritime Republics, Atrani was the residence of the noble families of Amalfi and the Doges were crowned in the ancient Church of San Salvatore de Birecto. 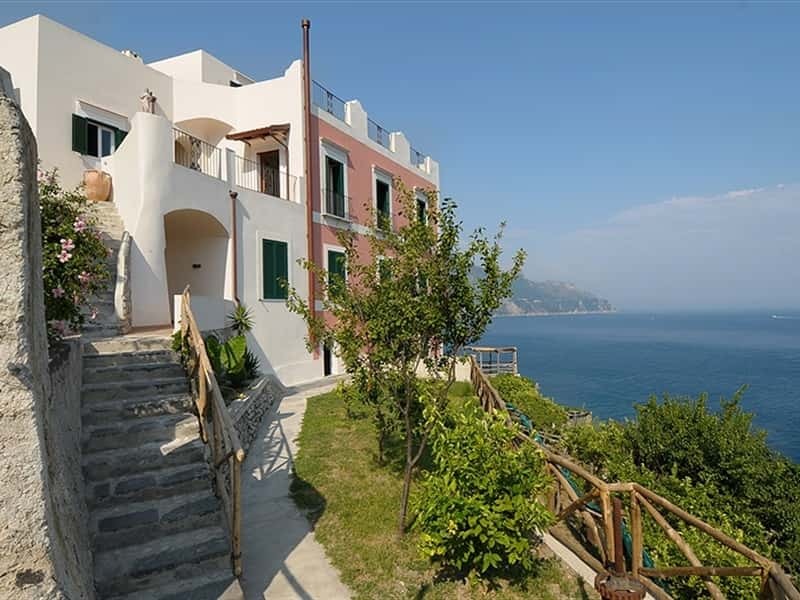 Amalfi is a perfect starting point for organizing excursions to the other villages of the Amalfi coast, the Sorrentine Peninsula and the islands of Capri and Ischia. 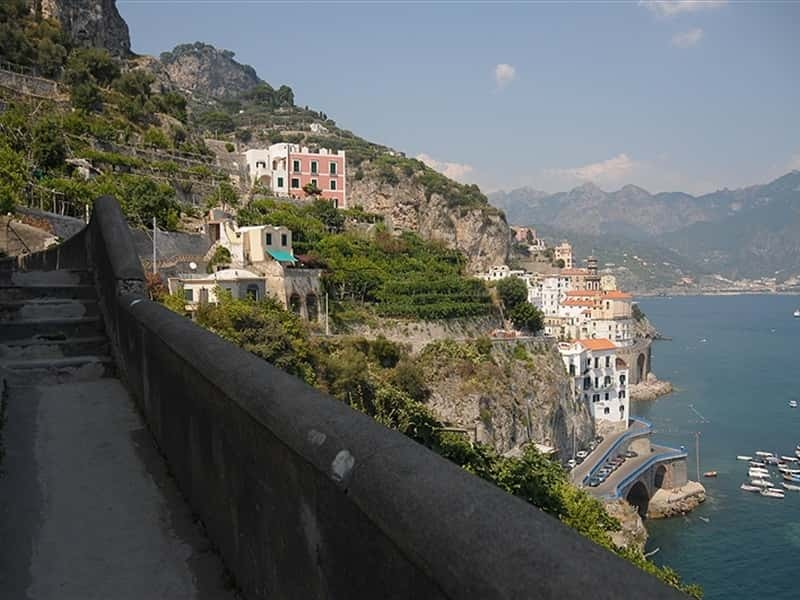 The magnificent Cathedral of Sant'Andrea, symbol of the power of the ancient queen of the sea, the arsenals, the Cloister of Paradise, the paper factories where the precious handmade paper of Amalfi is produced, are just some of the architectural and cultural gems of this town. The bright colors and the heady scents of a luxuriant lemon orchard preserve the quite and privacy of the Eremo di San Francesco, a luxury villa located just a few steps from the historic centre of Amalfi, in a very privileged position, with an enchanting view of the Amalfi coast and of the town that was the first of the four Maritime Republics in the Middle Age. The Eremo di San Francesco, built in the XIII century by a group of Franciscan monks, is now a splendid villa, equipped with all the modern comforts in order to host weddings, meetings and other important parties, the all preserving the ancient architecture of the hermitage, rich in precious and elegant decorations. 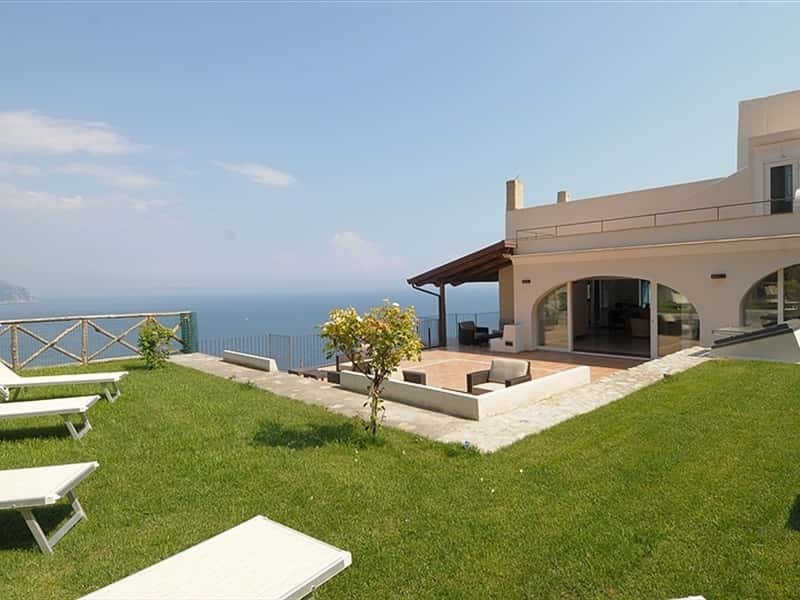 The villa is composed by twelve double rooms, with vaulted or frescoed ceiling, finely decorated with artistic hand-painted ceramic from Vietri sul Mare and equipped with LCD TV SAT, telephone, internet connection, air conditioned and heating. The spacious and comfortable living area, embellished with frescoes too, is equipped with LCD TV SAT, Hi-Fi system and air conditioned, in addition to large windows and balconies overlooking the garden and the sea. The kitchen, built in traditional Neapolitan style (masonry and artistic ceramic from Vietri sul Mare), is able to satisfy even the most demanding chef, thanks to its rich endowment of tools, equipments and appliances (six burner stove, professional oven, wood oven, microwave, refrigerator, dishwasher). 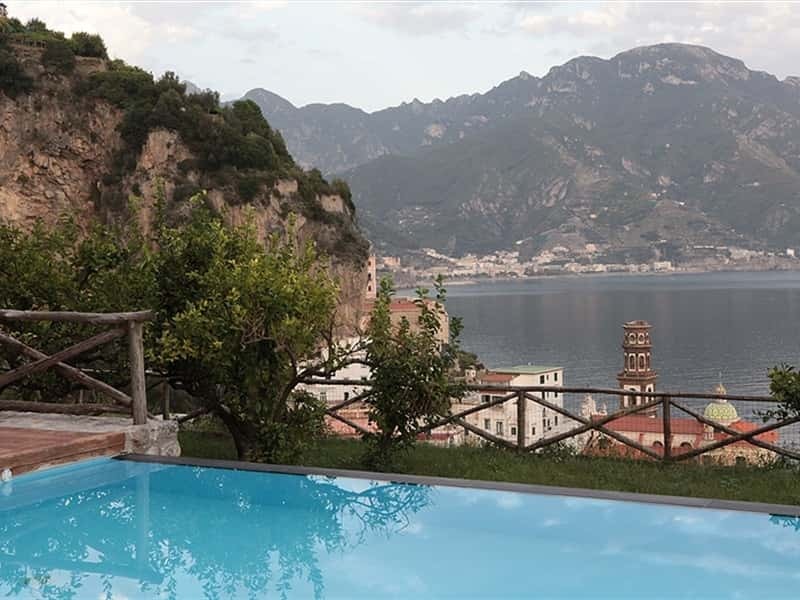 Already chosen by the Franciscan monks eight century ago for its perfect combination with the nature, the Eremo di San Francesco is an oasis of calm and relaxation set in one of the most desired place of the world, the Amalfi coast. 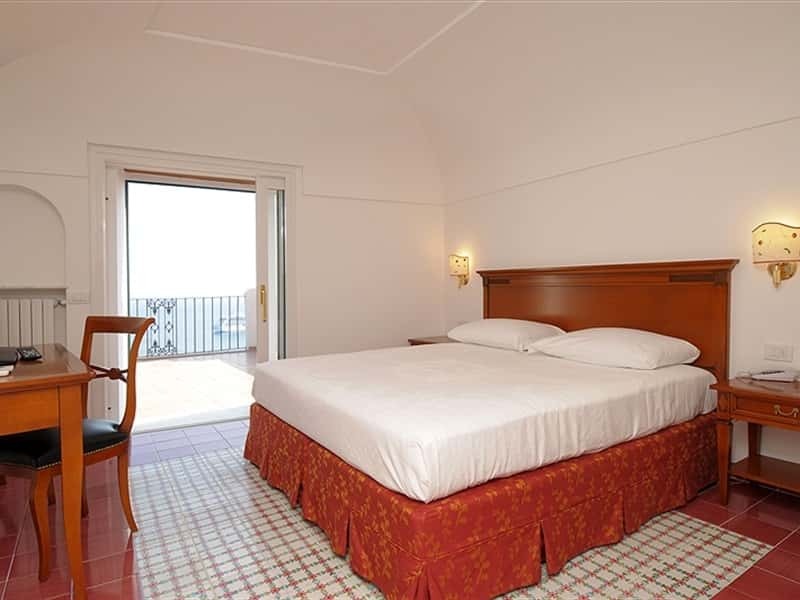 A warm atmosphere of style and elegance is waiting for you in our large and comfortable rooms: vaulted or frescoed ceiling, artistic hand-painted ceramic from Vietri sul Mare, elegant furniture and all the modern comforts (LCD TV SAT, telephone, internet connection, air conditioned and heating). Wonderful frescoed ceiling frame the sunny and bright living area, with elegant lounge areas and large windows and balconies overlooking the garden and the sea. It is also equipped with Hi-Fi system, LCD TV SAT and air conditioned. 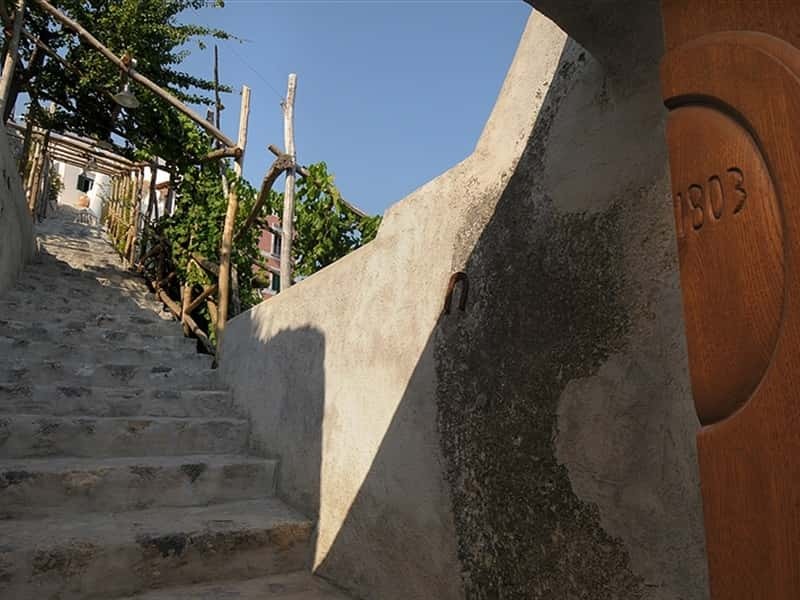 According to the Neapolitan tradition, the kitchen is built in masonry and hand-painted ceramic from Vietri sul Mare. Thanks to six burner stove, professional oven, wood oven, microwave, refrigerator, dishwasher and a rich endowment of utensils, the kitchen is at your disposal to give free rein to your culinary creativity. 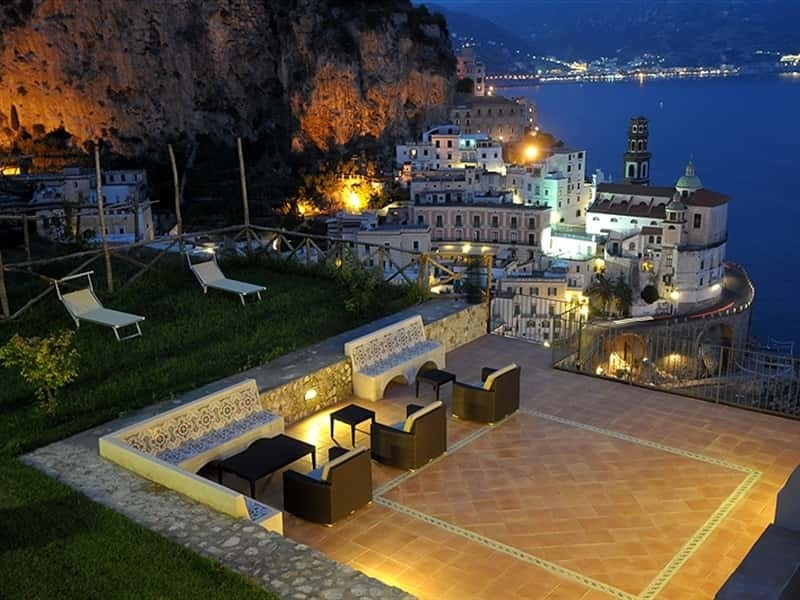 The wide terrace, set on a high cliff overlooking the picturesque small town of Atrani, is the ideal place for pleasant moments of relaxation, kissed by the warmth of the sun and the heady scent of the lemon orchards. And you too will feel the emotion of being suspended between sky and sea. The guests of the Eremo di San Francesco can enjoy the facilities of the adjacent Hotel Luna Convento. This structure web page has been visited 235,141 times.